Our Pocono Rentals give you a feeling of peace and quiet. Camping is a favored activity by people of all ages. From Kids to Adults, living in nature is endeared by all. 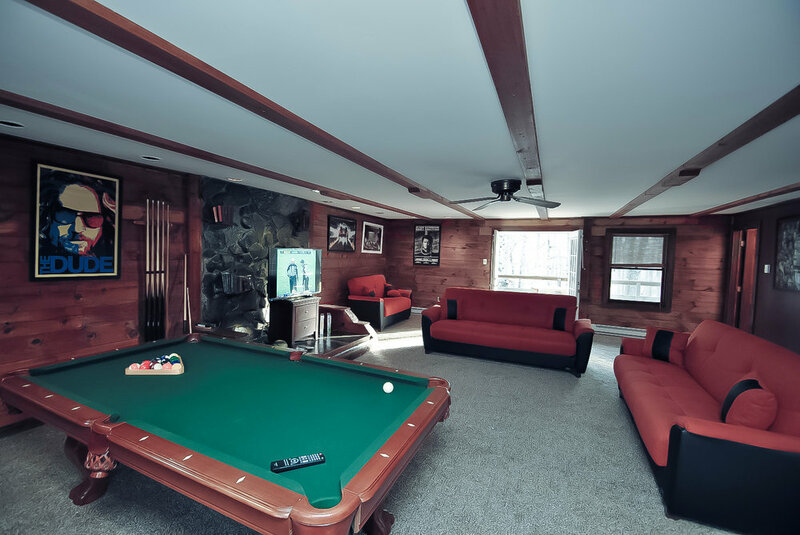 You can feed your need of adventure by booking our Pocono Rentals Cabins with a fire pit or just stay inside the home if that is your preference. Either way, there is something for everyone. This way you get the best of both worlds: a positive camping experience, or (if it doesn’t always work out for some) they can be inside the house and you can appreciate the moonlight beside it. We have camping sites by the creeks, in the woods, and many other places around our houses. All locations are different and are able to make your camping experience Grand. This season is at its peak and is very popular among the adventure seekers, so if you want to book yourself a cabin, you must make the bookings early. Grab the best homes, with the best surroundings. We have designed our Pocono Glamping Cabins to provide a relaxing and peaceful experience. Our cabins are very spacious, can fit many people, or just a few. Our Pocono Houses have electricity, water, and sewer facilities, a fire pit and a bench for your late-night bonfires are already there. All you need to do is just grab your stuff, pack your bags, hop into your car and book your amazing Glamping or Camping experience today! Glamping/Camping Details: The backyard has a huge space where you can setup a tent! Glamping/Camping Details: The sideyard has a huge space where you can setup a tent! 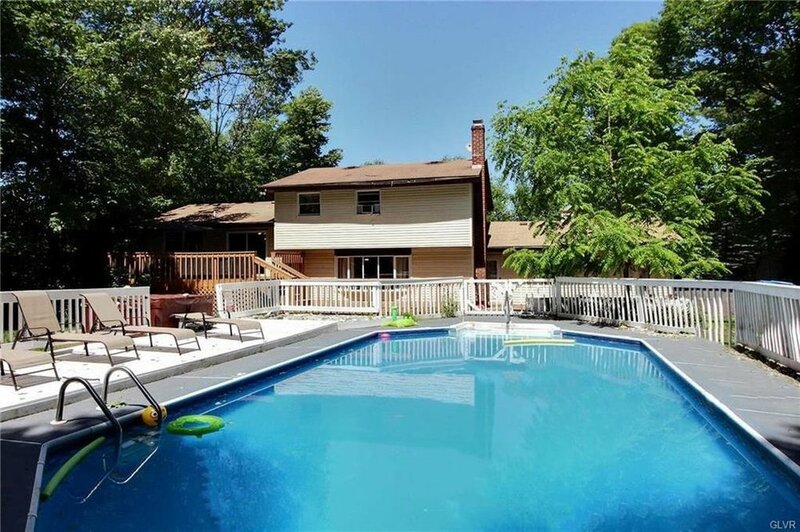 Sleeps 14-16: 6 Bedrooms (6 queen beds), 3 Baths, Wood Fireplace, Beautiful Large Private Indoor Pool (Open All Year Round - Unheated), Roku w/Sling/Netflix, Firepit in the Back, BBQ Grill and a Hot Tub outside next to the beautiful and huge rushing creek. Glamping/Camping Details: The backyard has a huge space by the creek where you can setup a tent!